I wrapped my oversized cardigan around me a little tighter as my feet crunched over the leaves that peppered the footpath, and the early morning wind blew as if it were trying to pass right through me. I’d woken up that morning in New Orleans, the city I’d been inexplicably drawn to, and a long way from home back in Australia. 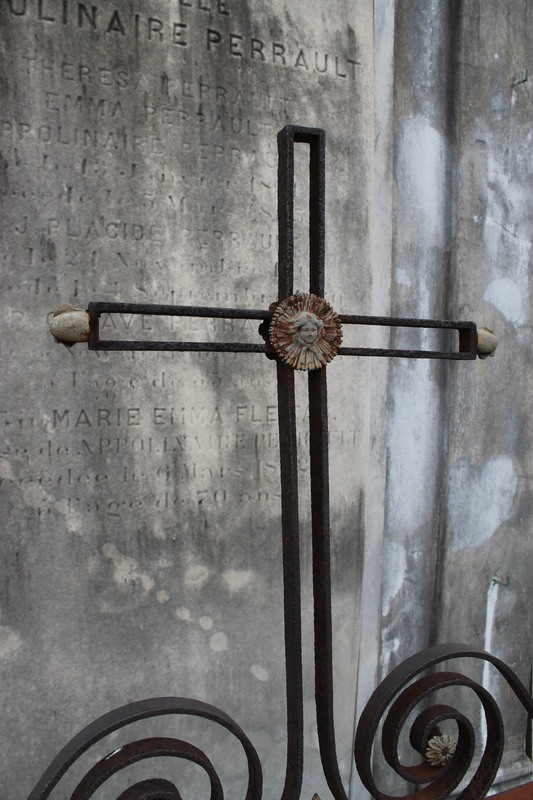 It was with some trepidation that I passed through the entrance of the St Louis Cemetery No. 1. It wasn’t the whole being in a cemetery thing that had me unnerved; I’m oddly at ease among the graves and stories of the past. What I wasn’t at ease with at that time was myself. I arrived in New Orleans with this feeling I couldn’t shake, like I didn’t fit in anywhere, like I didn’t belong. On that thought, the wind blew through me once more, as if urging me on through the front gate, as if pushing me toward answers. 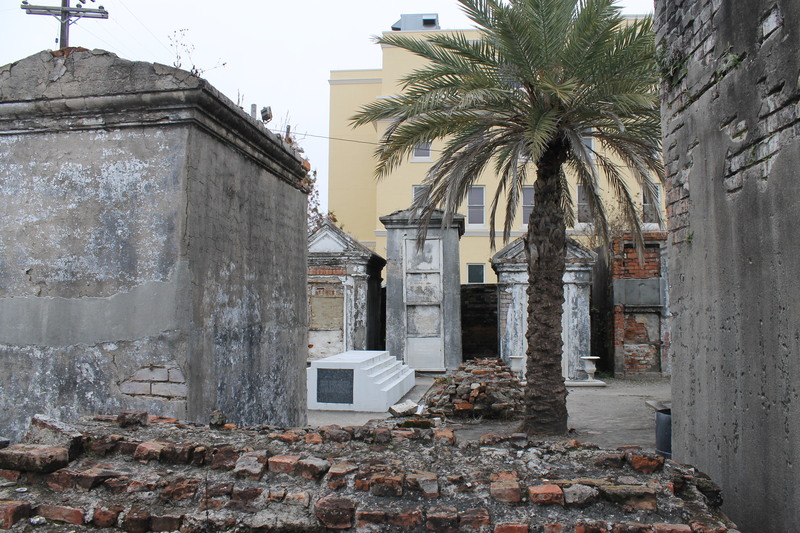 I moved silently through the decaying tombs, many dating back to the 1700s. Generations were contained within single crumbling structures; how many were truly remembered? What were their stories? The tombs would have been beautiful originally, but the deterioration they faced over the centuries only made them even more striking. Intricate wrought iron crosses and arrows decorated gates encircling tombs, while large stone and marble placards listing the names of the souls resting within lay on the floor beside many of tombs, gently pieced back together, having fallen from the places they’d originally occupied. Looking out over the praying angels perched on top of mausoleums, eyes turned to the heavens, I could see Treme Street and the housing projects beyond. Arriving just as the gates were unlocked for the day proved to be the perfect time to visit, with no one else around. I was a long way from the mayhem and commercialism of the tourist hub that is Bourbon Street; I was, proverbially, definitely not in Kansas anymore. I guess travel is the ultimate opportunity to reflect and recharge; we all know the cliché of people “finding themselves” while travelling. 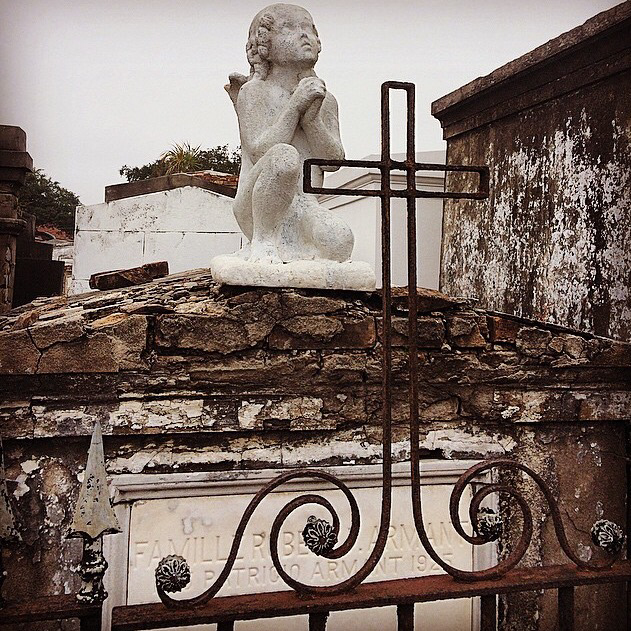 New Orleans was so different to anywhere else I’d been. The people there seemed to live authentically, fearlessly. Free. As someone who’s spent the best part of her life held back by fear, I was hypnotised by that thought, ready to start my own new chapter. 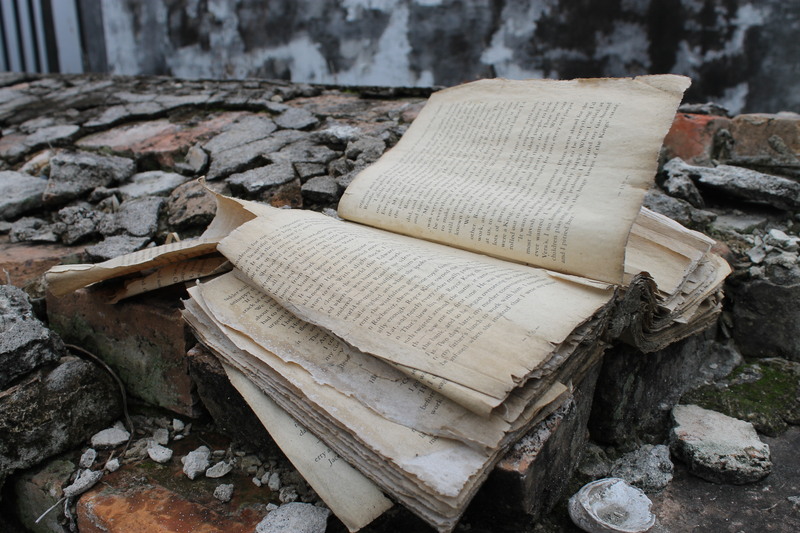 And, as if the spirits had me in their hands, the last thing I saw before I left the cemetery was an old book, the pages browned and torn, sitting on top of a tomb; as I walked past, the wind blew the open pages shut.